This should be exciting for all the readers ! 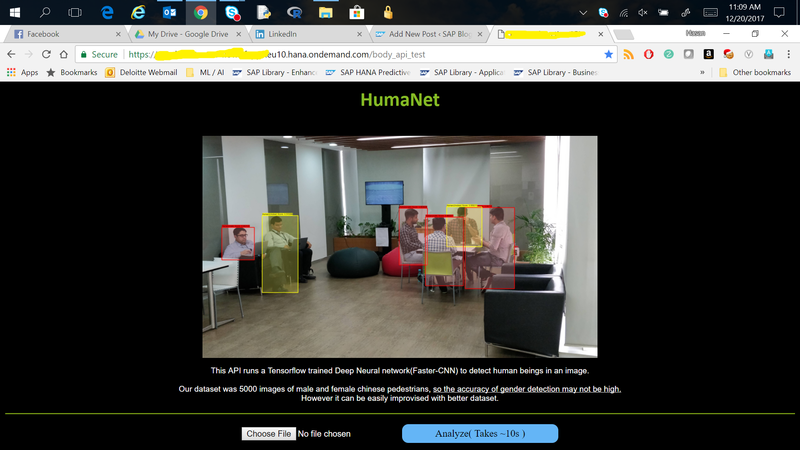 We just wanted to share our experience with deploying a custom Deep learned neural network model trained using Tensorflow, to detect human bodies in any image along with their gender on SAP’s Cloud foundry environment. We used Tensorflow 1.4 over Python 3.5.4 along with 10000 images of human bodies to train a Inception Faster-CNN DeepNet. The dataset was augmented on the fly using random crop, flips, lightning processes. As we were not having a GPU system, the training process was ran on an i7 3.0 GhZ processor non-GPU computer. Training time was around 5 hrs. We allocated 1.5GB of the total 2GB trial account memory to this application and were facing intermittent crashes during prediction process over new images. 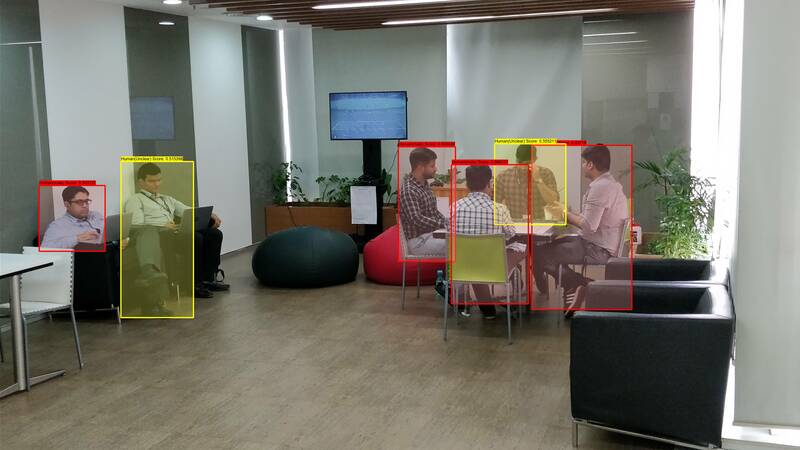 Though it’s preferred to have a GPU based system in order to have faster prediction time, however due to lack of GPU support on current version of SAP Cloud foundry the average prediction time on new images is around 20-35 sec per image. This is our first step towards deploying a custom trained Deep Learning model on the SAP Cloud foundry and we are really enlightened to see that SAP Cloud Foundry is a great platform to deploy such applications. We are just awaiting news for GPU support on Foundry from SAP. Till then fingers crossed.